A young female journalist from Econ Vision Wewkly Journal has been sentenced to 2 years in jail for covering Nargis cyclone news. 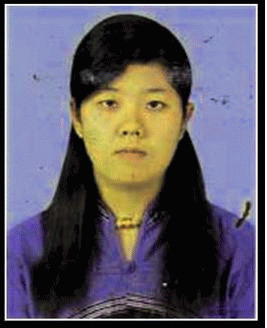 Ma Eint Khaing Oo, 24, was sentenced today by a court in Rangon's Tar Mwe, said a witness. She was arrested in front of the head office of United Nations Development Programme (UNDP) in Yangon on June 10. Last Monday blogger Nay Phone Latt was sentenced to 20 years ,and a poet Saw Wai from Weeky Love Journal was sentenced 2 years for mocking military leader General Than Shwe. Tun Tun Naing and Khin Maung Aye, of the privately-owned weekly News Watch, were also arrested on 5 November and are being detained in Insein prison. All news media in Burma is strictly censored and tightly controlled by the military.